Product Review: Wow, Why Didn’t I Think of That? Working hard is really no excuse for not being healthy. 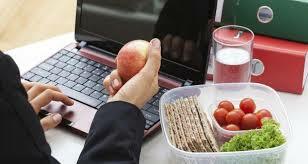 The easiest way to stay healthy even while you are distracted with work, is to be conscious of your eating habits and adopt healthy eating tips. Just because you work hard and love your job, doesn’t mean you have to eat unhealthy or place your work above your health. 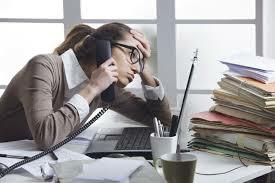 Workaholics tend to forsake eating or cooking healthy meals for work. It becomes a badge of honor to work through lunch. Whether it results in not eating altogether or mindlessly gobbling down a meal, it is unhealthy. In addition to this, dinner meal tends to unhealthy as well because after leaving work late, you have to go buy fast food, or highly processed, microwaveable foods to get on the table quickly instead of cooking a sit down home cooked meal. Guilt then follows. Stress from work, unhealthy eating choices, and now guilt added to that is a recipe for illness. Wait, there is more. Not only food, but being too busy to drink water is a common problem as well. Many times, drinking water goes by the wayside and is substituted for high caffeine drinks like coffee and monster drinks. Who has time for food when there is work to be done? Besides, who has the energy to cook after a long days work? Whether you are a workaholic that want to change or a proud workaholic that don’t see anything wrong with the amount of time you spend working, it is in your benefit to maintain a healthy lifestyle so you can have the energy to sustain the activities you are doing. Your brain, mind, and body in particular need nutrients from healthy meals to provide strength to fight infections and the energy to enjoy your tasks day in and day out. I would argue a workaholic needs even more energy and a higher immune system than most because of the constant pressure to deliver at work and at home. Think about the long days you put in; if you are going to work like that, you must be intentional with fueling your body the nutrients it needs by eating the right things. Let’s put your eating health plan on auto-pilot. 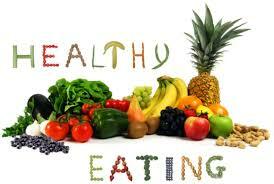 Below are easy tips to adopt that will lead to a healthier life. Adapt these simple concepts and make it a routine. Go slowly. Just master one first. Then add another; perhaps one per week. Adding just one or two will go a long way toward success. Below are simple suggestions but very powerful for getting results. Do grocery shopping and food planning for the week on your day off. At least one day a week, go stack up on fruit, veggies, nuts and seeds for meals, snacks, and smoothies. Select recipes that are easy to make and combine vegetables, lean protein, and healthy fats that will be filling and is easy to reheat. Create a huge pot of soup, chili, bone broth, or veggie casseroles. For sake of time, make your crock pot your primary cooking tool. Drink plenty of water, at least one-half your body weight in ounces. There are two tricks that lead to drinking more water. (1) Whenever you reach to drink, take gulps and count to seven. If your water bottle have a squeeze top or small opener, remove the top when you drink. (2) Make drinking water your precursor to drinking anything else. In other words, if you want a cup of coffee, you must gulp some water first. Stick to these two tips and you will be a water drinking magnet. Add slices of lemon to water for flavor and immune system boost. Drink tea. It can be any kind of unsweetened tea. Tea is a good way to add nutrients and powerful antioxidants to your body to improve brain function, fight bacteria, blast fat, and reduce risk of some cancers. You also want to incorporate those teas that are known for fighting inflammation. I recommend green tea, ginger/turmeric tea, and any of the medicinal teas. Incorporate smoothies as replacement meal or snack. Include a vegan protein powder. Prepare smoothie at night so you can have for breakfast or easily transport to work for lunch. Don’t limit breakfast to just breakfast food. Eat leftover veggies at breakfast. Add fruit, berries, seeds, and nuts to hot breakfast cereal or to pancakes. Have lean protein and healthy fat with every meal. Load up on healthy snacks such as apples, carrots, berries, nuts, celery, walnuts, almonds, and brazil nuts. All are good sources of fiber and healthy fat that satisfies that crunch feeling that relieves stress. Keep almond butter, nut butter, or honey handy. A spoonful is good for stress relief and contain blast of protein and energy. Add coconut oil to coffee instead of sugar and creamer. Try Miracle Noodle as a side or small meal when you need just a little bit more than just carrots. Many of you may not have heard of them, but they are low-calorie, gluten-free noodles with zero net carbs. Yes ZERO carbs. They are made of water-soluble fiber from the Konjac plant. They eliminate cravings and have prebiotic properties known to benefit gut health, inner balance and well being. Remember eating lots of oodles of noodles in college while prepping for all-nighters; well these noodles are a healthy substitute. Why not give them a try, “ZERO” Carb Noodles. Click here to learn more. Eat peppers, garlic, and onions any chance you get. Eat them as a side or use as seasoning in recipes. These have medicinal benefits on blood pressure, cholesterol, diabetes, respiratory problems, toxin removal, fighting infections, and even cancer fighting properties. Imagine incorporating these tips throughout your workday; don’t you feel better just thinking about that. Just imagine being and feeling healthier. Bottom-line, be intentional with your eating habits and put your plan on auto-pilot. Get a piece of paper and write down the tips you are going to adopt. Label the header, “My Health Plan.” Now that you have a Health Plan, working long hours is no longer an excuse for ignoring your health. This health plan is your newest work assignment. I hope you set a goal to execute daily and exceed your expectations. If you find this information helpful, please share these tips with others. I would love to know what you think about this in the comments below. If you look around your workplace, I know you know someone who is working too much and have put their health on the back burner. Reach out to them and introduce them to concept of creating a health plan. My mission is to make more people aware of importance of taking charge of their health and making necessary adjustments toward life balance before the effects of unhealthy choices lead to a chronic disease. Which tip will you adopt first? When it comes to eating healthy, how do you make sure that you can eat healthy in a most cost effective way? I see a lot of the time that a lot of the healthy foods seem to be really expensive. Also, if I were a person who doesn’t make as much as say middle management, how can that person eat healthy with their kind of budget? Great questions Jessie. Actually having a health plan is a way to reduce cost. It is cheaper to buy in bulk and to prepare meals in advance and cook at home than it is to eat out. If you prepare food and potentially freeze portions, it is less expensive. I limit the amount of meals that I have meat to reduce cost as well. Mushrooms or beans are great fillers and less expensive than meat. Finally, we have to look at costs in terms of our health. We are slowly killing our quality of life by the eating habits we have. 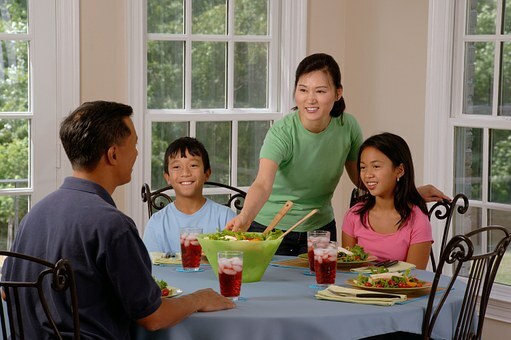 Healthcare costs for families are soaring and many of the diseases can be traced back to poor eating habit. Hey, don’t forget use coupons on the items that they are available for and shifting those savings to higher quality foods. I hope this give you some ideas above savings. I’ve been a shift worker for many years now, on a completely random, 24/7 roster…so the concept of ‘breakfast foods’ or ‘dinner foods’ went out the window for me long ago. What I usually do these days is spend some time on a day off preparing, cooking and freezing meals in single portions so there’s no excuse for not eating well. It takes a bit of time but it’s totally worth it! Sounds like you have mastered a several healthy tips to keep you on the right track. I agree that planning meals on a day off truly make it much easier to eat well the remainder of the week. Often time, not planning a meal or even forgetting to bring a meal to work leads to binge eating. Be intentional with work-life balance. Receive One Tip each month to focus on and watch your life transform.